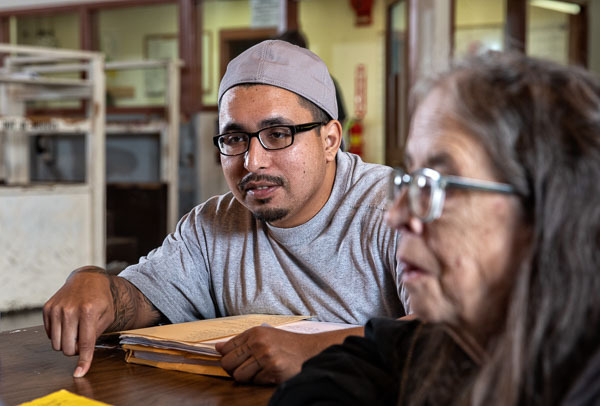 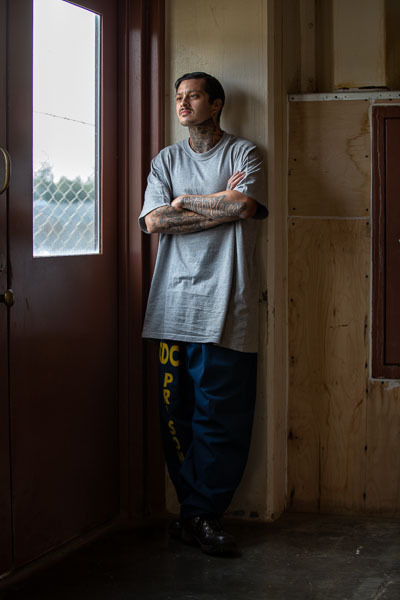 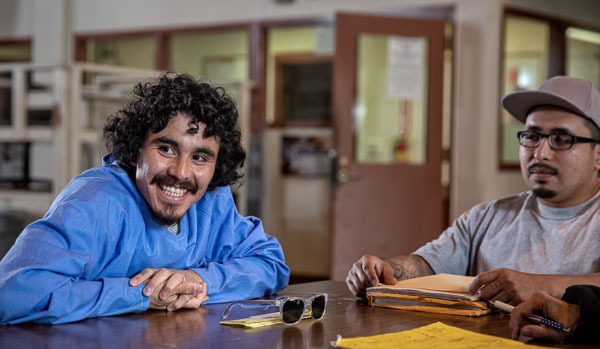 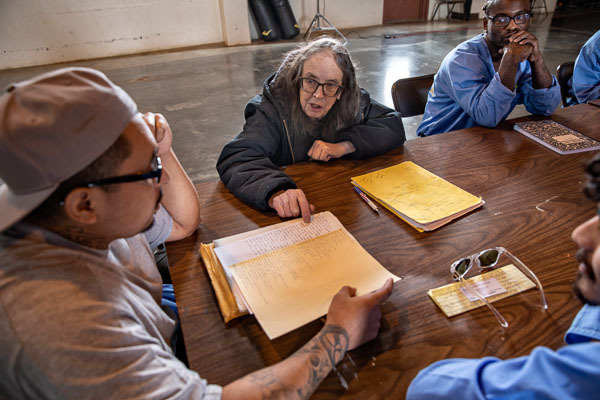 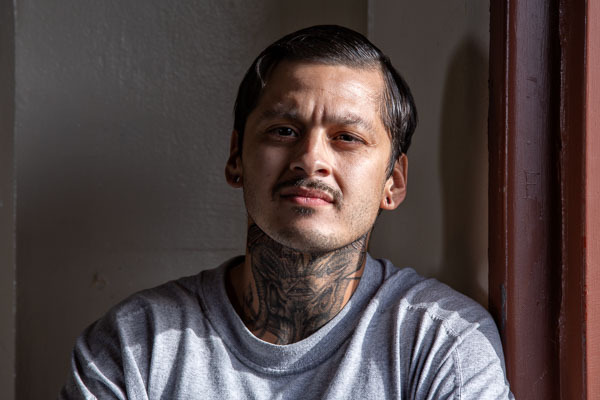 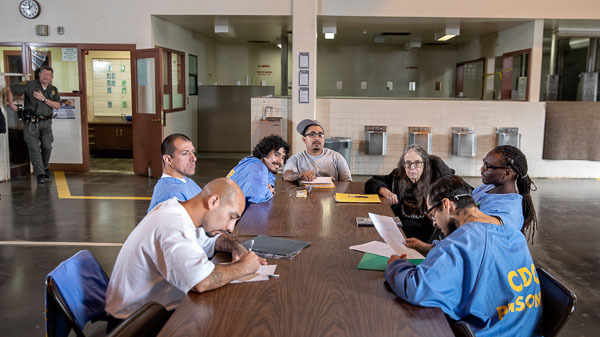 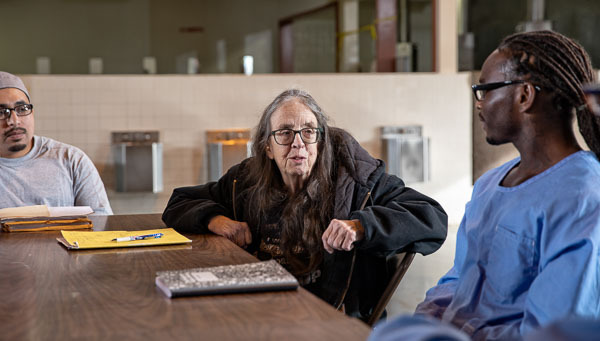 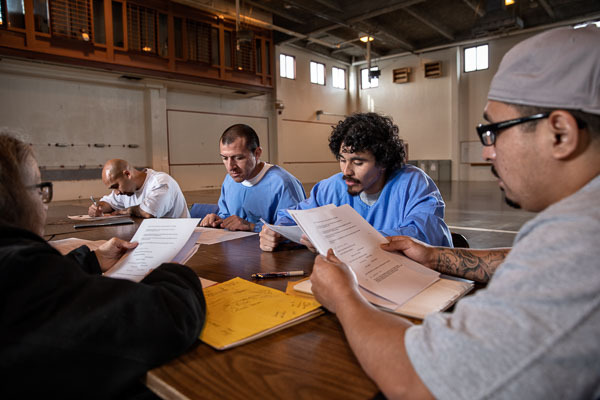 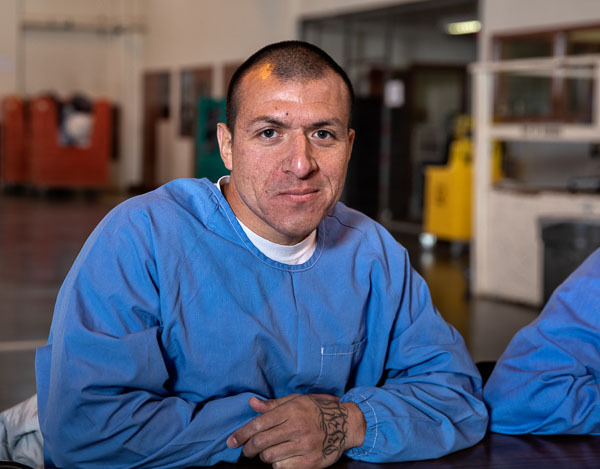 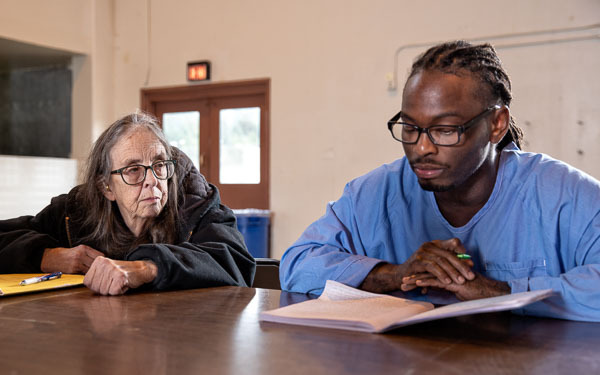 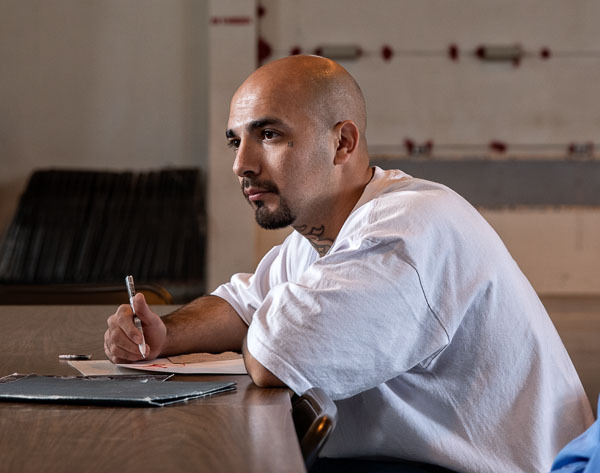 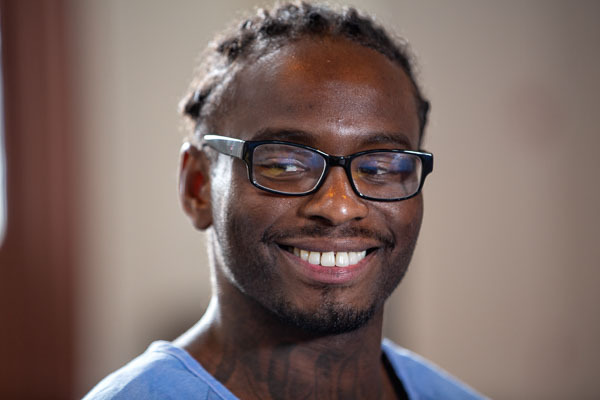 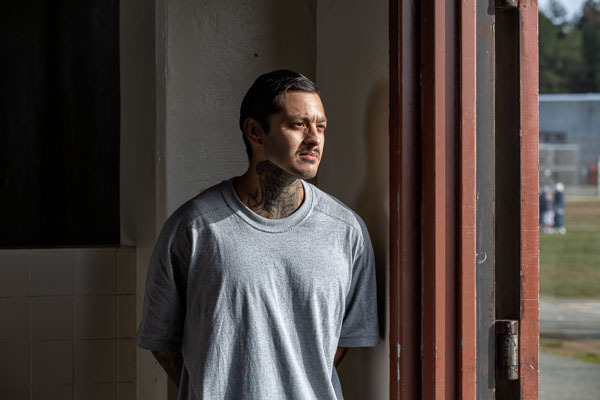 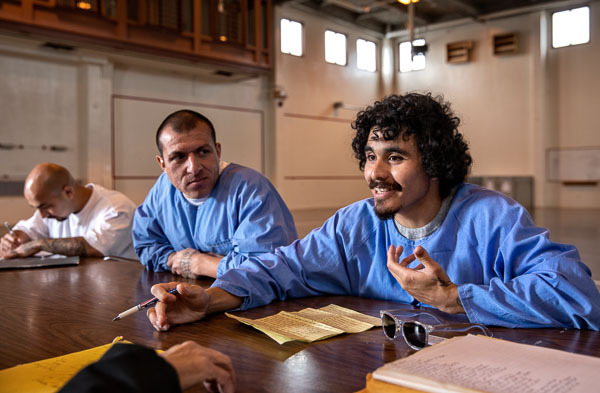 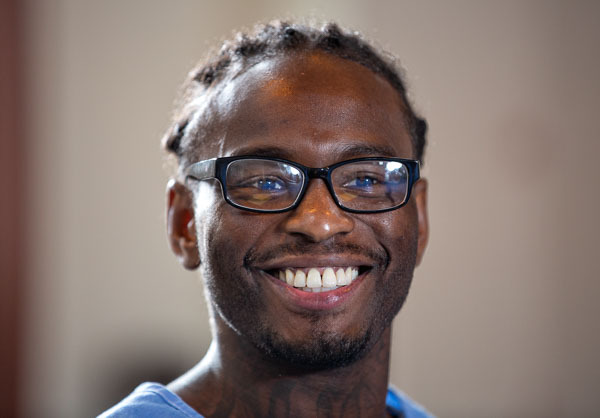 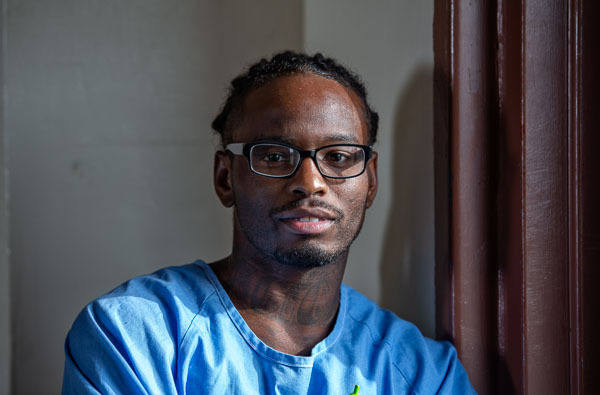 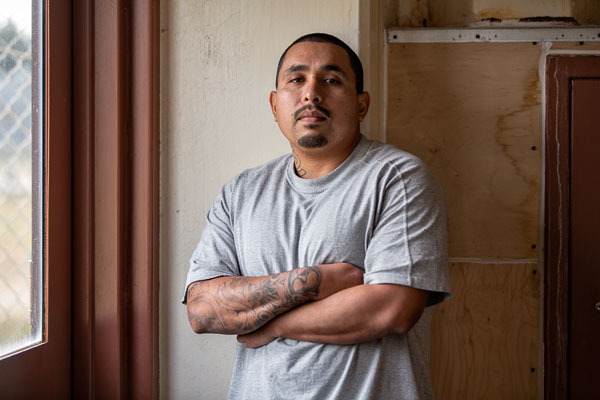 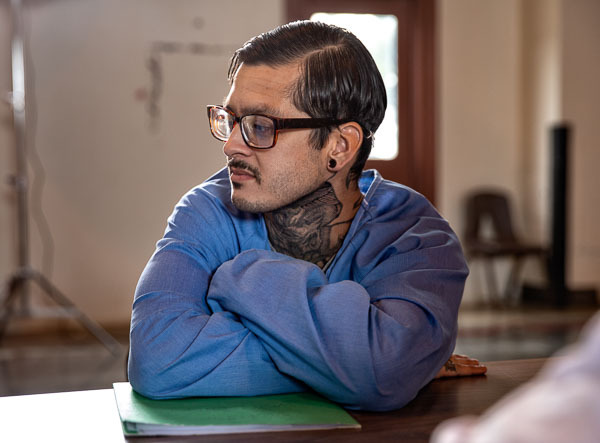 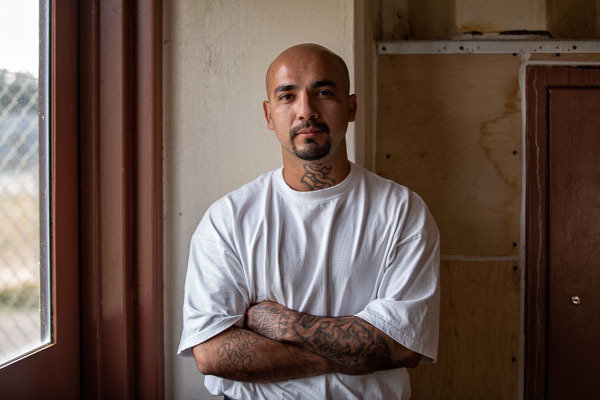 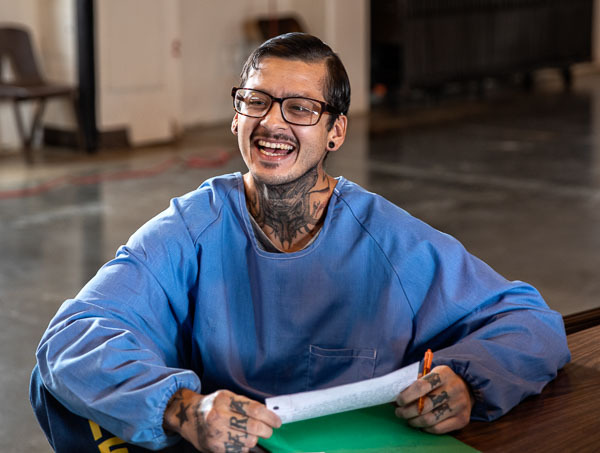 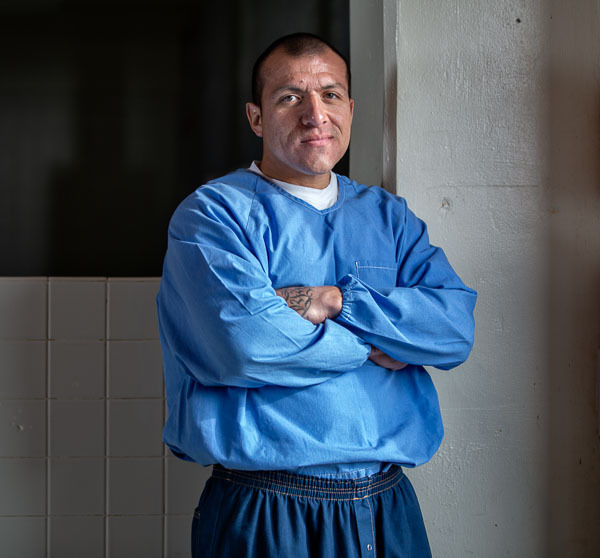 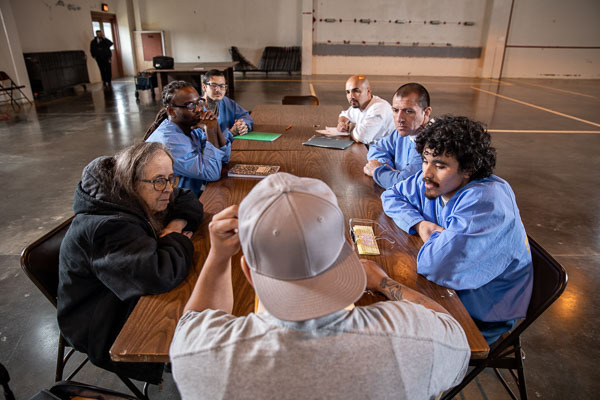 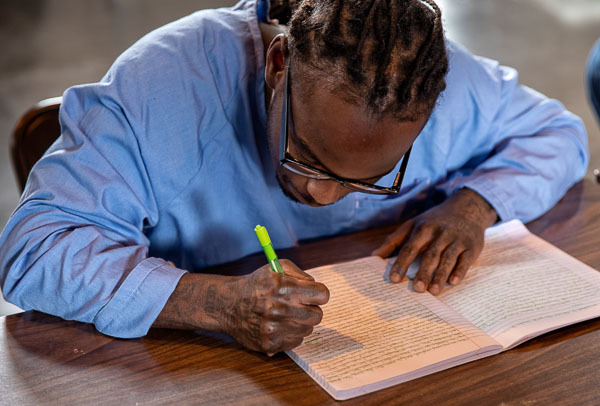 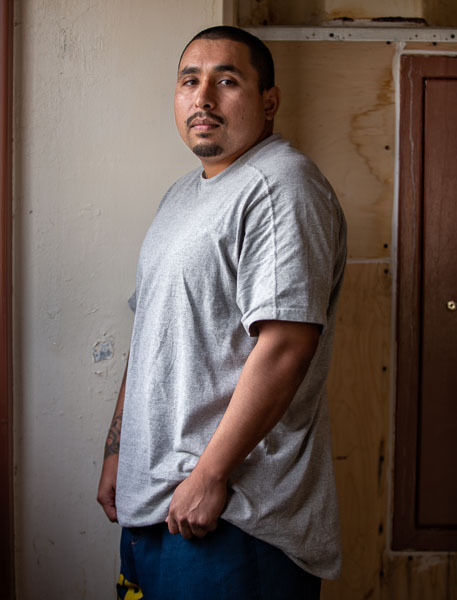 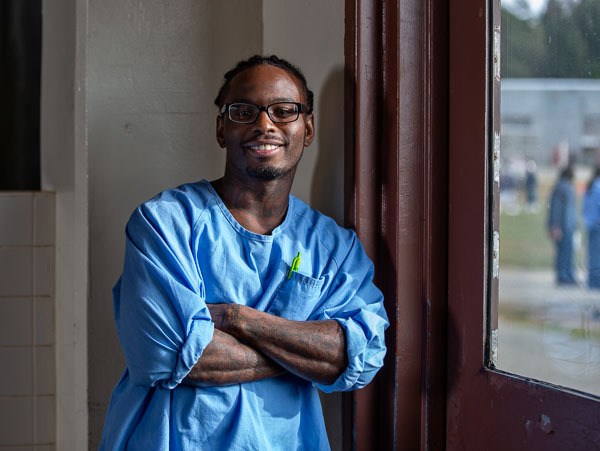 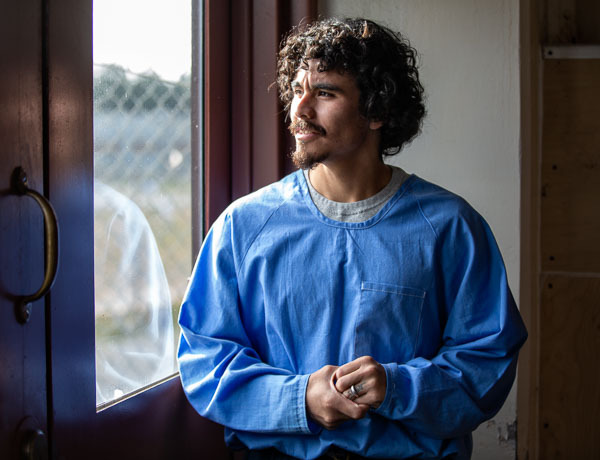 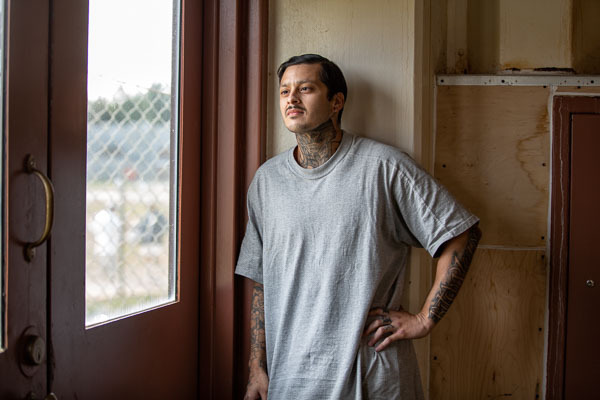 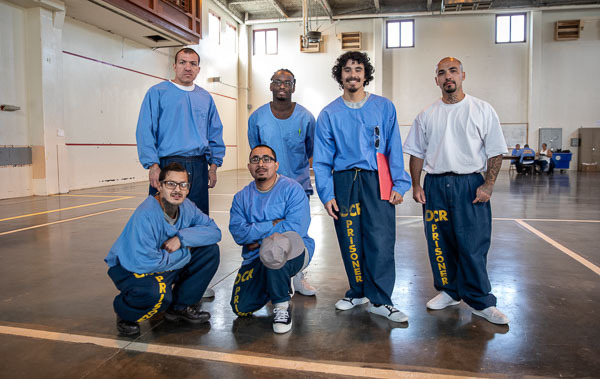 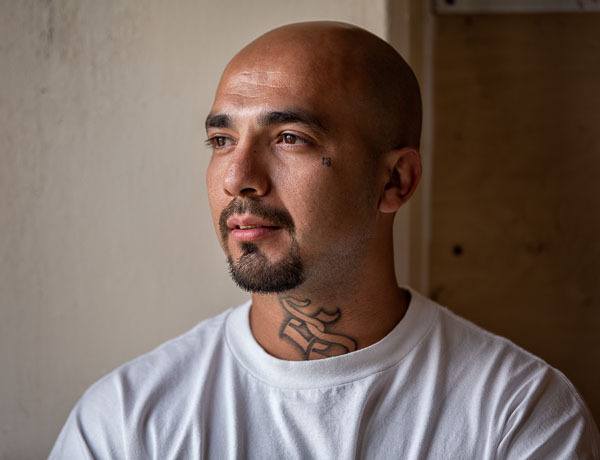 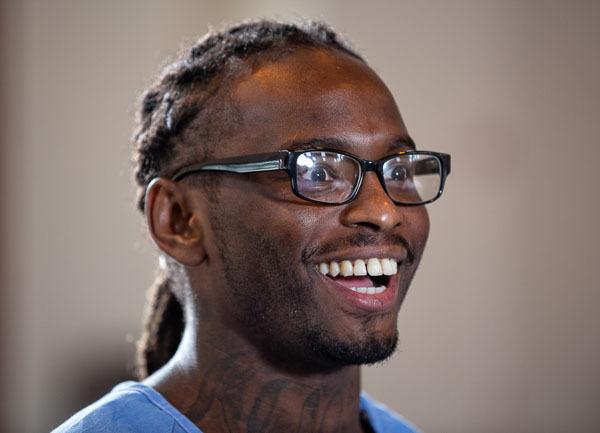 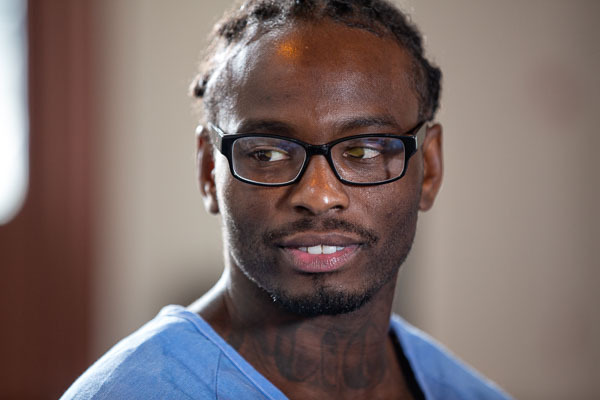 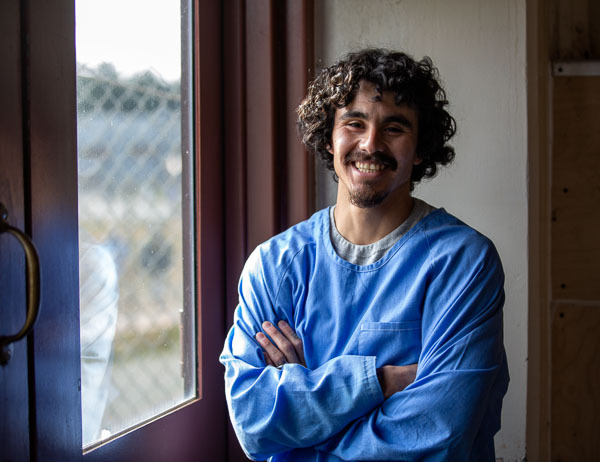 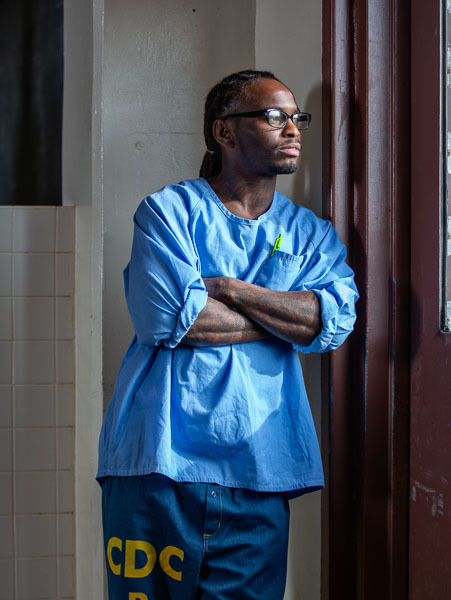 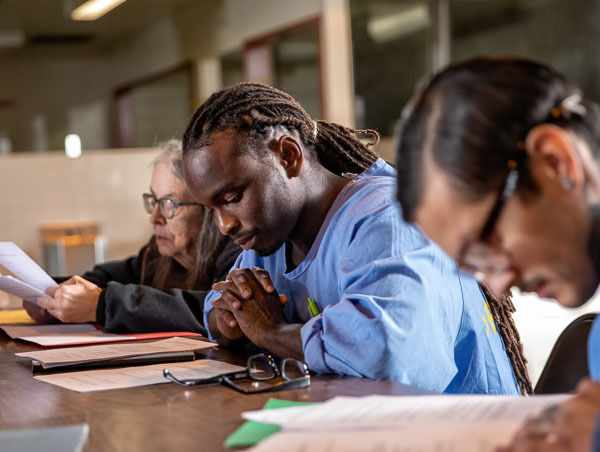 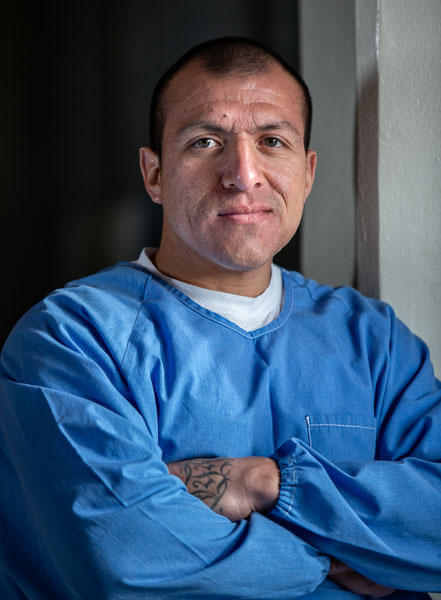 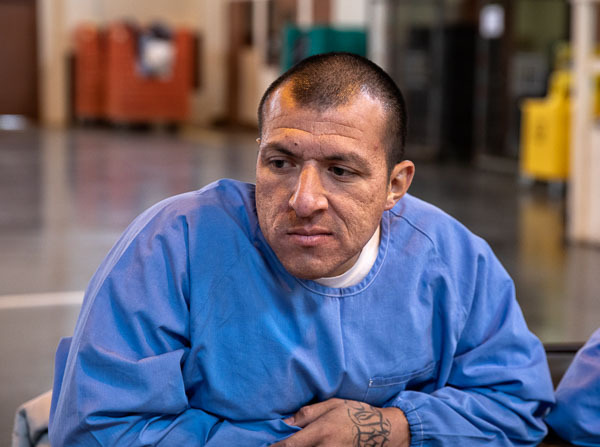 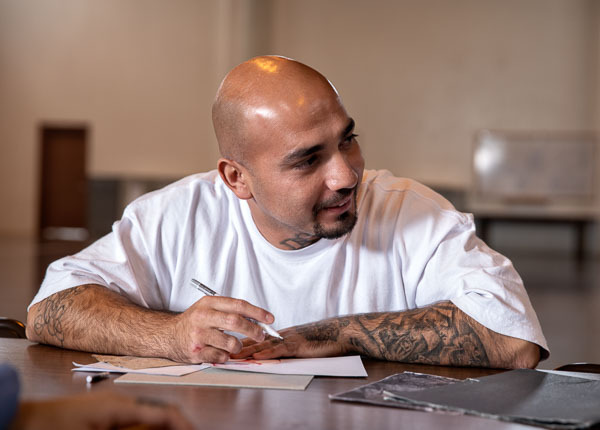 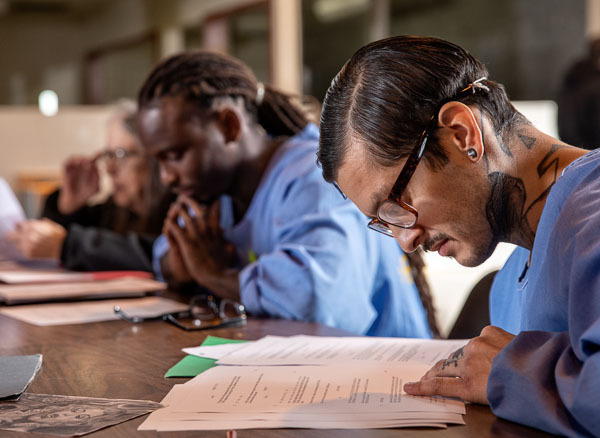 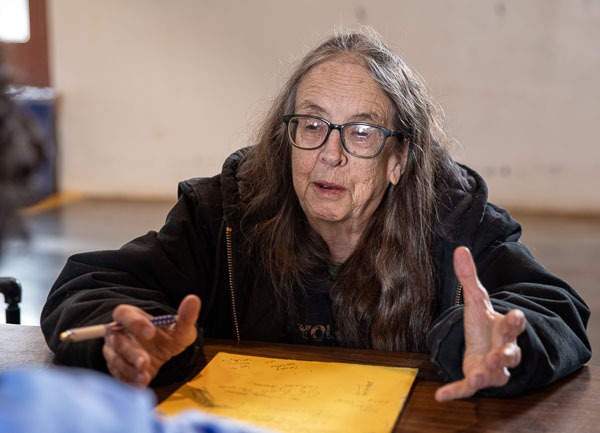 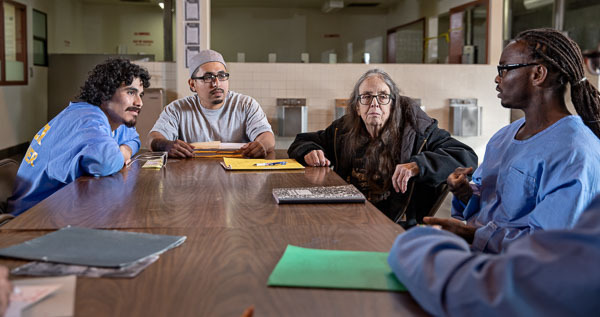 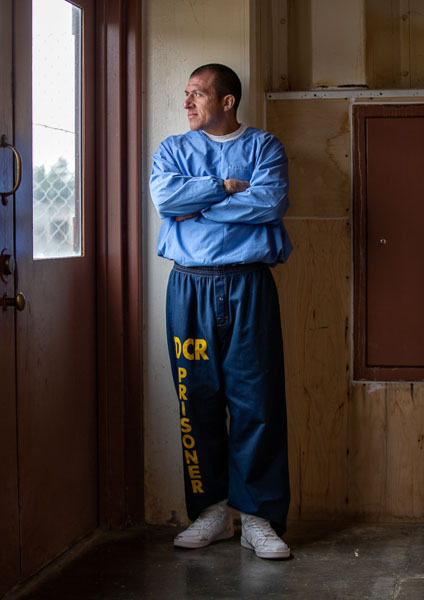 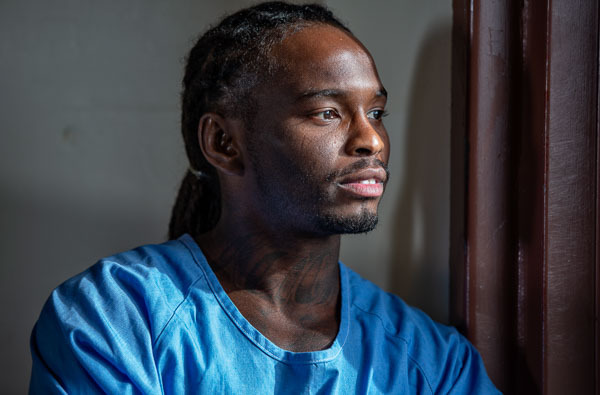 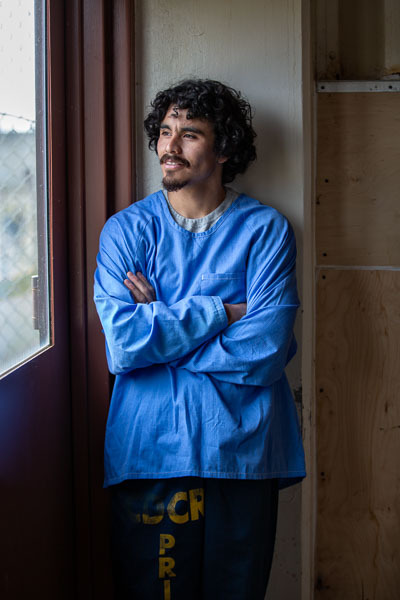 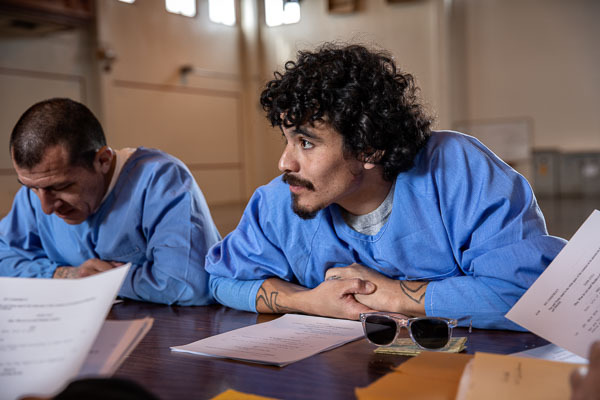 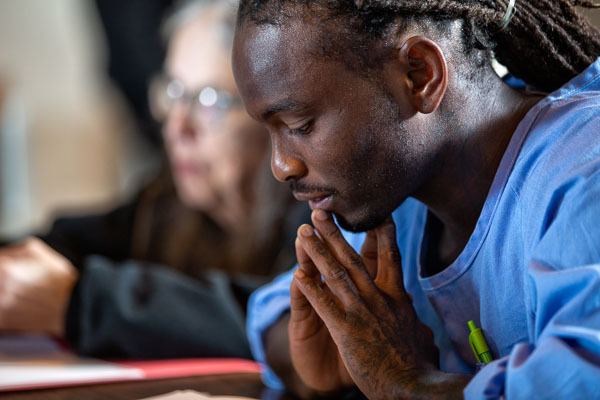 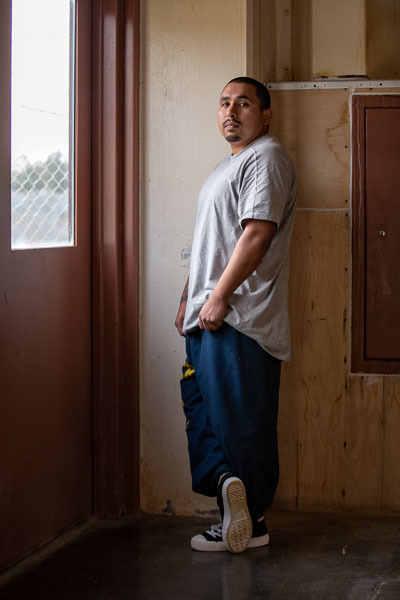 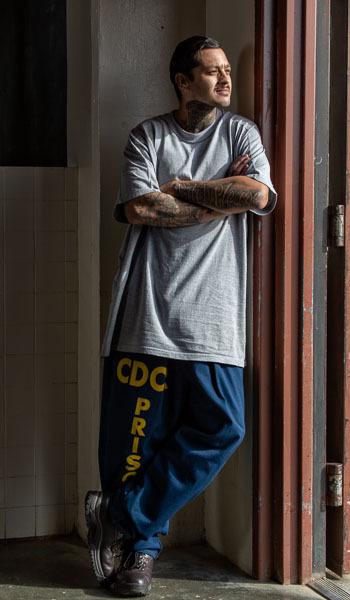 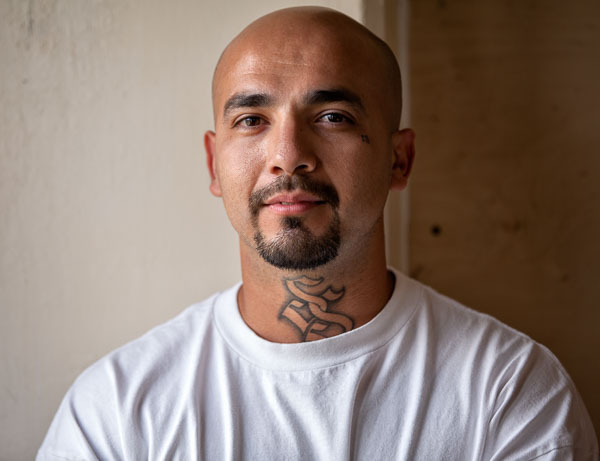 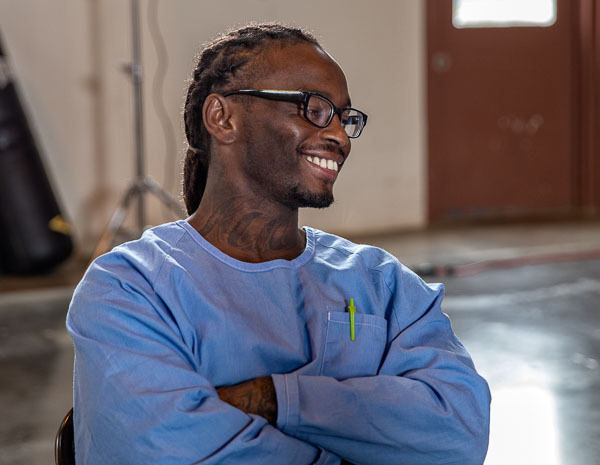 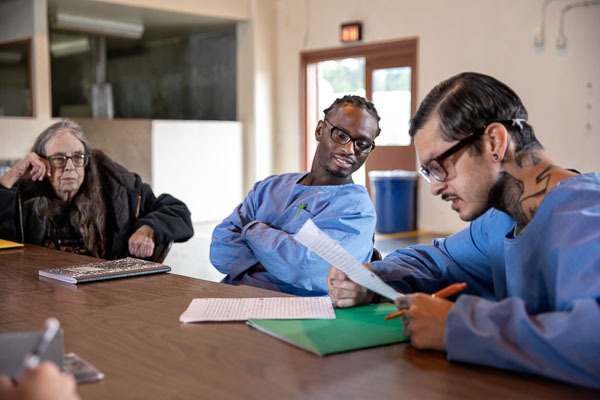 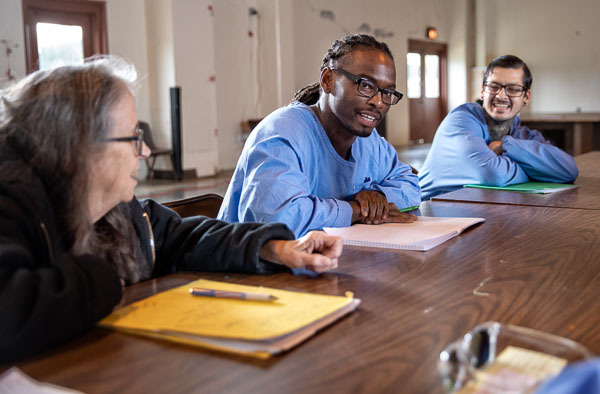 Creative Writing at Pelican Bay State Prison - 2019 Jan. 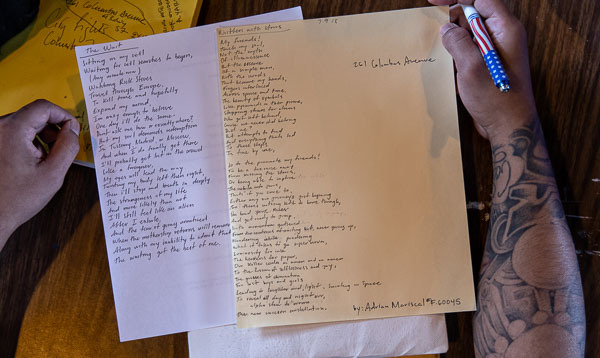 This writing class is taught by Cecelia Holland; she is sponsored by the William James Association. 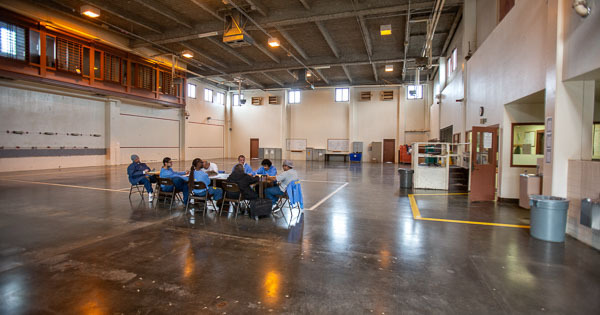 As you can see, the class environment consists of a table and chairs in a cavernous gym—with occasional auditory intrusions as equipment related to some other event is moved in, set up, or moved out. 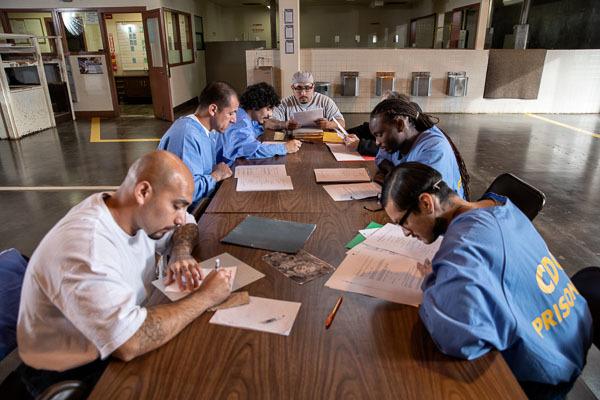 Throughout this class, however, the men remained focused on their work and attentive to each other and to their soft-spoken instructor. 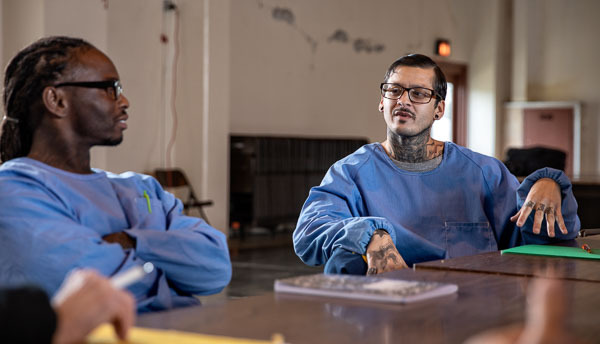 The men gave each other respectful feedback, and at times broke into playful banter.